FSU Art MFA ’16 Elise Thompson, this past summer, was accepted as a teaching artist by ArtWorks Cincinnati to help lead a large scale mural for teacher free-store Crayons to Computers in the Bond Hill neighborhood. 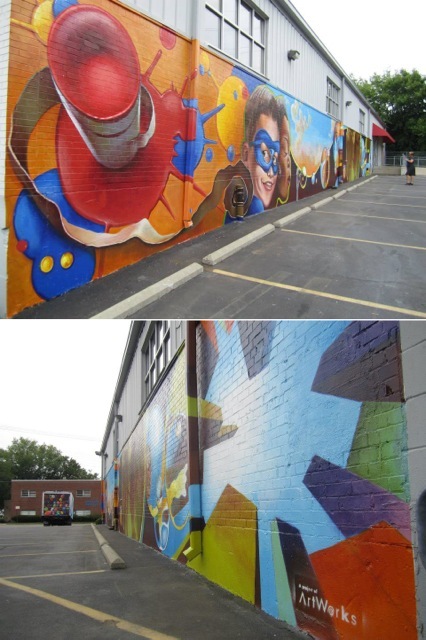 The project was completed with 2 other artists and 10 apprentices ages 15-20 in 8 weeks. The mural is approx. 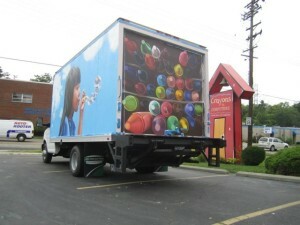 100 feet long along with a three-sided mural on a box truck trailer for the C2C outreach program.